Gold Coast Tai Chi Academy will continue to offer “Tai Chi & Qigong in the park”. Due to popular demand, Dennis will continue to offer class at a minimum cost at the following venues. LOOKING TO MAKE POSITIVE CHANGE IN YOUR MIND, BODY, ENERGY? 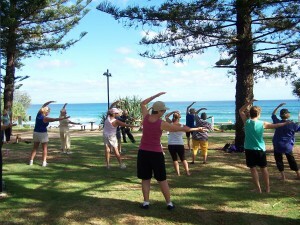 Gold Coast Tai Chi Academy offers a range of Qi Gong exercises to the public through its park classes. The class includes a warm-up and stretching session, Brain Gym exercise, Qi Gong, and a body balance warm down. These classes are weather dependent. If it is absolutely raining, class is cancelled. If it is occasional showers, in most cases, class will go ahead. If in doubt, please call Dennis, 0419763360.